Gov. Neil Abercrombie had wanted to host the nation’s governors for their annual summer meeting in two years. He found out Wednesday the governors will be going to West Virginia instead. The problem? Hawaii is one of the world’s most exotic destinations but also a place where public officials go at their own risk. 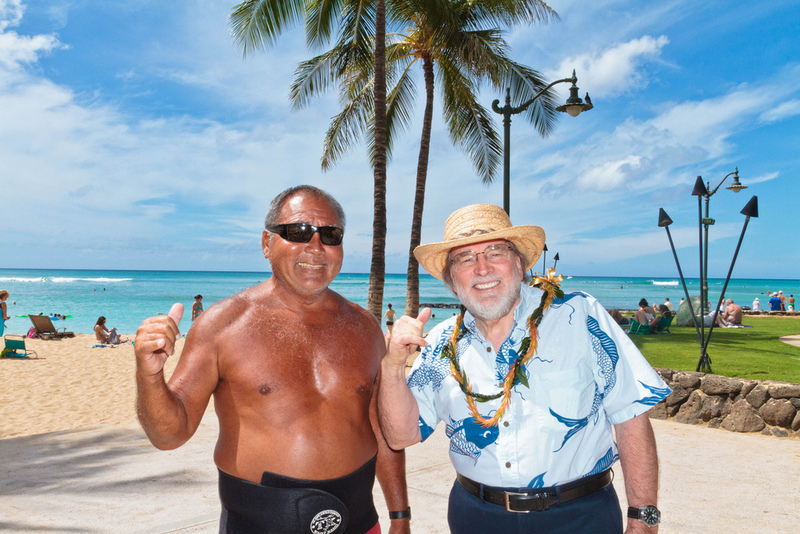 Few states depend on one industry to fuel their economy as much as Hawaii relies on tourism. Yet state officials must constantly defend Hawaii as a venue for conferences involving public officials who are vulnerable to criticism back home that they took a taxpayer-financed junket. Stateline. The man at the center of a procurement scandal at the University of Hawaii has returned to work. Brian Minaai, associate vice president for Capitol Improvements since 2008, has been on paid leave for nearly eight months as the state attorney general investigated allegations of favoritism in the procurement of construction projects. Hawaii Reporter. Sweeping education reforms that Hawaii and other states promised in return for millions in federal Race to the Top dollars are "unrealistic and impossible" to achieve, a new report issued Thursday argues. Star-Advertiser. Mastering the art of the field trip — that’s one skill that doesn’t get much attention in college teacher preparation programs. Civil Beat. Gov. Neil Abercrombie plans to force state lawmakers’ hands, pledging to call them into special session on Oct. 28 to vote on whether to legalize gay marriage. Hawaii already has a reciprocal beneficiaries law and a civil unions law, but Abercrombie wants a special session to pass a gay marriage bill now. Hawaii Reporter. Between 2000 and 2002, Hawaii was spending less than the rest of the country on energy, when compared to the gross domestic product. But the positions were reversed and energy spending has out-paced the national average. Civil Beat. Hawaiian Airlines won't be the only carrier flying nonstop between Honolulu and Beijing next year. Air China has issued a notice that the state-owned carrier will begin three-days-a-week service between the two cities beginning Jan. 21 as part of its winter schedule. Star-Advertiser. Hawaii State Civil Defense officials have confirmed that the emergency warning sirens that sounded overnight on Oahu, Maui and Molokai were accidental and that there is no alert at this time. Hawaii News Now. Drivers, get ready to pay more for your vehicle’s safety check. The state wants to raise the yearly inspection fee by as much as 36 percent. It’s even higher if you ride a motorcycle. KHON2. State roundup for September 13. Associated Press. Matson Inc. officials said Thursday that the shipping company did not have a response plan for a molasses spill, even though its vessels export as much as 2,000 tons of the viscous liquid each week to the mainland from a pipeline at Honolulu Harbor. Star-Advertiser. Matson apologized Thursday for Monday's molasses spill disaster and said the company will not "run from responsibility. Hawaii News Now. The massive molasses spill in Honolulu Harbor this week has placed a spotlight on a little know sector in Hawaii agriculture industry. Hawaii's molasses is produced by a single plantation -- Alexander & Baldwin Inc.'s Hawaiian Commercial & Sugar Co. -- which makes about 50,000 tons of molasses each year on Maui. Hawaii News Now. Four days after a Matson pipeline broke spilling 233,000 gallons of thick, syrupy molasses into Honolulu Harbor and killing thousands of fish and other sea creatures, a Matson executive stood in front of the harbor perspiring heavily. Civil Beat. It’s been 4 days since a devastating molasses spill caused by a ruptured pipeline erupted into the waters of Honolulu Harbor, killing thousands of fish and marine life. Matson, the company responsible for the spill, says it's still grappling with a course of action. Hawaii Public Radio. A $1.5 million state grant to Damien Memorial School, a private sectarian school, is unconstitutional and may be withheld, state attorneys say. The funding —approved by the Legislature this year as a grant-in-aid included in the state budget — is under review by the Governor's Office. Star-Advertiser. The future of Aloha Beer Co., which closed its Honolulu brewery restaurant for renovations in July, is up in the air as the company works out tax and organizational issues. Pacific Business News. A bill rezoning 576 acres of agricultural land in Waipio for Castle and Cooke's large-scale Koa Ridge project was given a preliminary approval by the City Council Planning Committee late Thursday. Star-Advertiser. Hawaii County is asking a 3rd Circuit Court judge to allow it to intervene to help defend Bobby Jean Leithead Todd’s position as Environmental Management director after discovering that Councilwoman Brenda Ford’s petition challenging her relies on a relatively obscure legal premise that prevents the county from doing so. West Hawaii Today. The Board of Land and Natural Resources will consider giving the Naniloa Volcanoes Resort a lifeline today as a new owner is sought to take over the beleaguered operation on Hilo’s Banyan Drive. Tribune-Herald. A buyer for Big Island Carbon LLC, which filed for Chapter 7 bankruptcy late last year, may emerge in the next couple of months, according to former CEO Rick Vidgen. Pacific Business News. A civil suit filed Monday in Delaware alleges that the owners of the Hu Honua Bioenergy plant currently under development in Pepeekeo attempted to defraud the former majority owner of the project by attempting to back out of an agreement to pay a sum of $5.5 million following state approval of a power purchase agreement with Hawaii Electric Light Company Inc. Tribune-Herald. Incredible video is making its rounds online showing a tiger shark being caught off-shore at Honokohau Harbor on Hawai'i Island. Reaction to the YouTube clip has been fierce, as a great majority of the comments come from people who can't believe what they're watching and want justice – some even calling for revenge. Hawaii News Now. The Chair of the state’s Senate Health Committee will host a talk story session at the Maui Memorial Medical Center on Friday. Maui Now. Prices for single-family homes and condominiums in Maui County showed strong growth in August with median prices at $585,000 and $420,000 respectively, the Realtors Association of Maui reported earlier this week. Maui News. Officials with the Maui Civil Defense Agency on Maui reported a siren malfunction early this morning in various parts of the island. Maui Now. A Pacific Whale Foundation catamaran was removed Wednesday morning from the shoreline near McGregor Point after striking rocks early Tuesday morning, a U.S. Coast Guard official said. Maui News. The Department of Water will resume its discussion on the Kahili Horizontal Directionally-Drilled Well and Energy Savings Project during a special board meeting Tuesday. Garden Island. U.S. Reps. Colleen Hanabusa and Tulsi Gabbard announced that Hawaii will receive more than $17 million from the U.S. Department of Transportation for airport improvement projects statewide. About $3.5 million will go for the State of Good Repair Program, which will purchase replacement buses for Hawaii, Maui, and Kauai counties. Garden Island.